Due to the fact that Elmund’s bicycle got stolen from his home, and both Obed and Matthew was not able to join us. Mat and myself decided to go Siburan and see how it goes from there. Fortunately for us, the weather was great and the roads were dry. 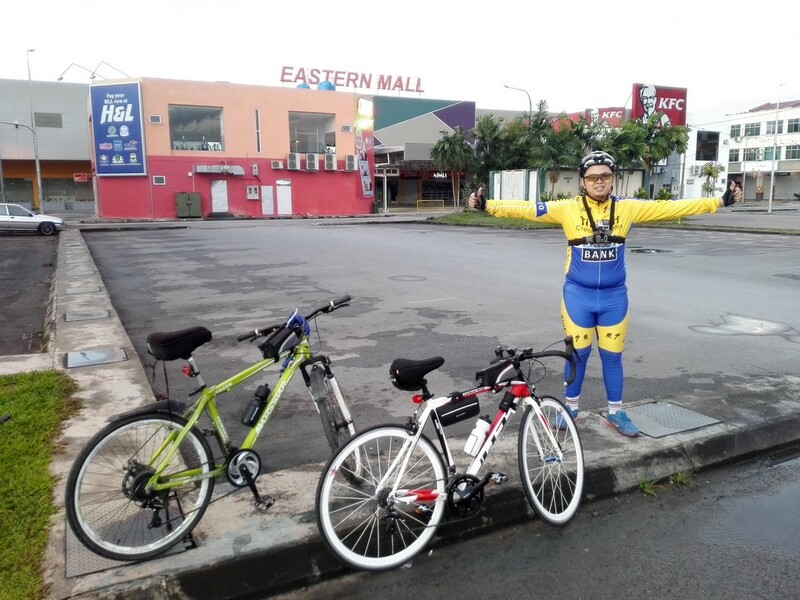 As we tried pushing our limits, we started pedaling from City One and proceed on to Siburan from there. We used the airport road that connects us to Kuching Sentral and from there we headed on towards Siburan. This was probably the first time we pedal intensely where we did not stop in between ride, as we didn’t want to reach Siburan too late. The only time we stop was when we reached towards the traffic light, apart from that we kept on pedaling and pedaling. We managed to reach Siburan by 6.20 am, that was where we decided to take pictures at Eastern Mall and decided to head back down instead of getting breakfast there. As Mat was a bit concern if we rest too long there we might have problems getting back. Once we’re done photo taking we headed down and carried on our journey back to town. On our way down, Patrick Juran (a member from Slow Loris Wilwil Group) passed us as he was chasing time to meet up with Simon where they agreed to have a cup of coffee. Do check them out as this group also cycle quite regularly. And frankly speaking both Mat and myself was not able to catch up with him, as this guy can ride extremely fast. Took him only 3 minutes after passing us and we could not find out where he is after that. 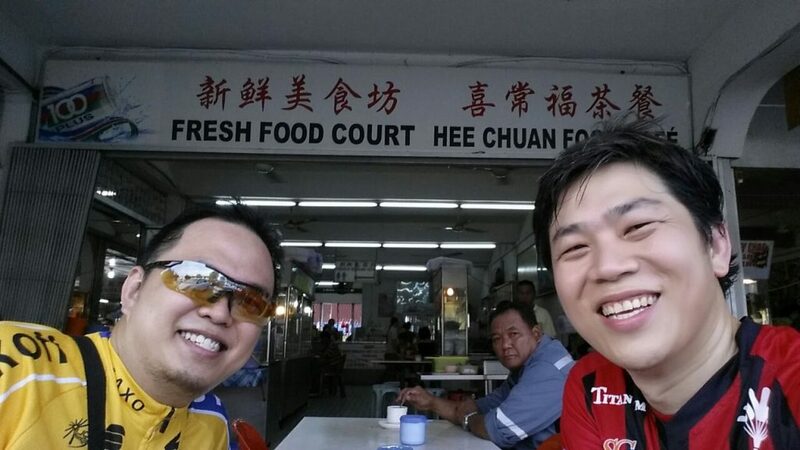 We managed to reach Kota Sentosa and there we went and grabbed breakfast. 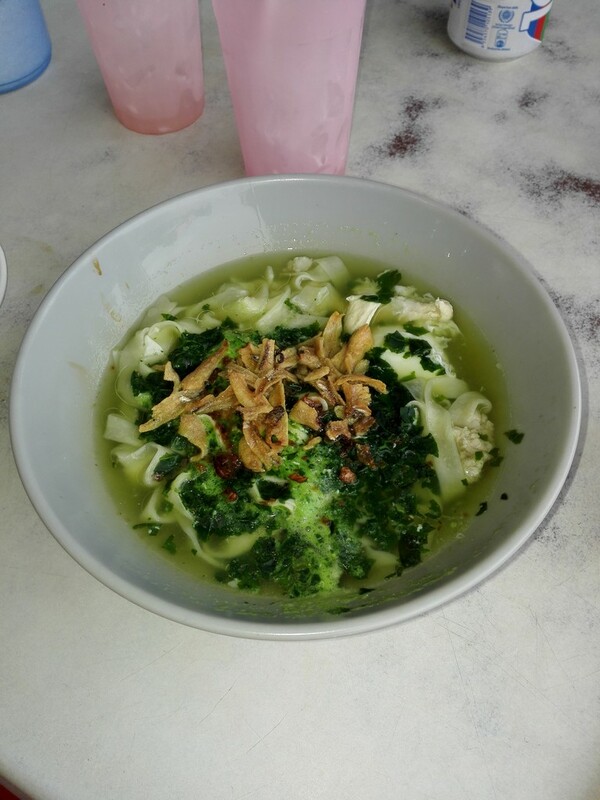 Mat suggested that their Pan Mee was one of the best, and I couldn’t agree more with him. Also we restock on 100 plus to basically help get us back home in one piece. So continued our journey towards 4th Mile and split from there, where Mat used 3rd Mile to head back while I used the flyover and continue riding on towards Jalan Keretapi. Throughout the whole ride, the weather was cooling as it was cloudy. Anyway, I managed to reached home first, and not long after that I received a text from Mat stated he also just got back. It was not only until today, I found out he had legs problem at 2.5 mile. Never the less, indeed it was a good experience for the both of us as we began expanding our territory even further than our usual comfort zone. Only problem was that, towards our journey back home traffic started to get heavy and it slowed us down especially when larger vehicles began passing us. Ah well, it’s all good! Couldn’t help noticing that you have a SJ4000 camera. Bought one myself too and still waiting for it. Actually was interested to know if you purchased it from ebay or SJCAM.com? Were there any tax imposed and how long have you got to wait before receiving your camera? I bought mine from Aliexpress. And I got it after 2 weeks when they posted it. As for Tax this one I’m not too sure because, I got it before they implemented GST. Also because my value was less than RM500, they didn’t charge me. Thanks Alex for the prompt reply. It seems that you mentioned that your purchase was done from Aliexpress. Mine was done through the SJCAM website and therefore might have been a different procedure all together. Anyways bought mine SJ4000 at USD79.90.